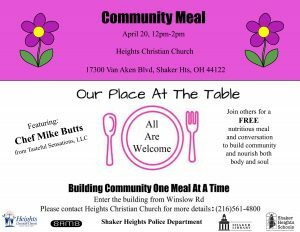 Join us as we build community – one meal at a time! Saturday, April 20 from 12-2 pm, is a Third Saturday of the month so that means community meal – we prepare and serve a meal to whoever shows up! Come be part of the fun – as a host and as a guest! All are welcome – invite a friend. We are grateful for support from community organizations and individuals! The format is simple: beer, conversation, and God. Come bring your questions, your curiosity, and pull up a chair. Be ready to engage with people of varying religious traditions, philosophical perspectives and life experiences. Hope to see you there! All are welcome – invite a friend! 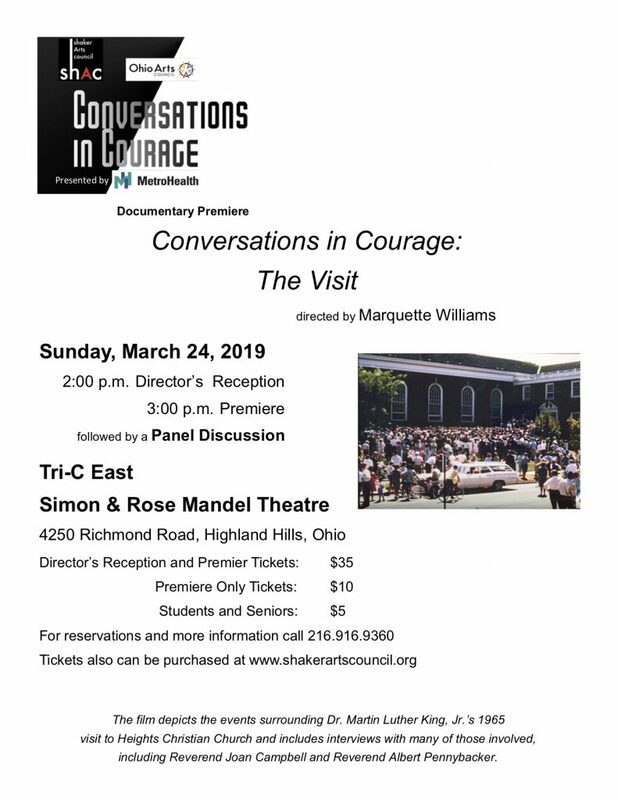 Join us on Sunday, March 24 for the premiere of “Conversations in Courage: The Visit” – which explores the visit Dr. Martin Luther King, Jr. made to HCC and Shaker Heights in 1965. This documentary includes interview with HCC people and many others who were involved that historic day. Details in flyer below. Tickets available through Shaker Arts Council. The first Little Free Pantry on the east side of Cleveland is open at HCC. Think Little Free Library but with food. The motto is “Take what you need, leave what you can.” It is located behind the church on Winslow Road near the playground. We have 4′ x 12′ plots available for the 2018 growing season. Suggested contribution is $30, which covers your plot and water. Check it out on Daleford Road between Van Aken and Winslow. 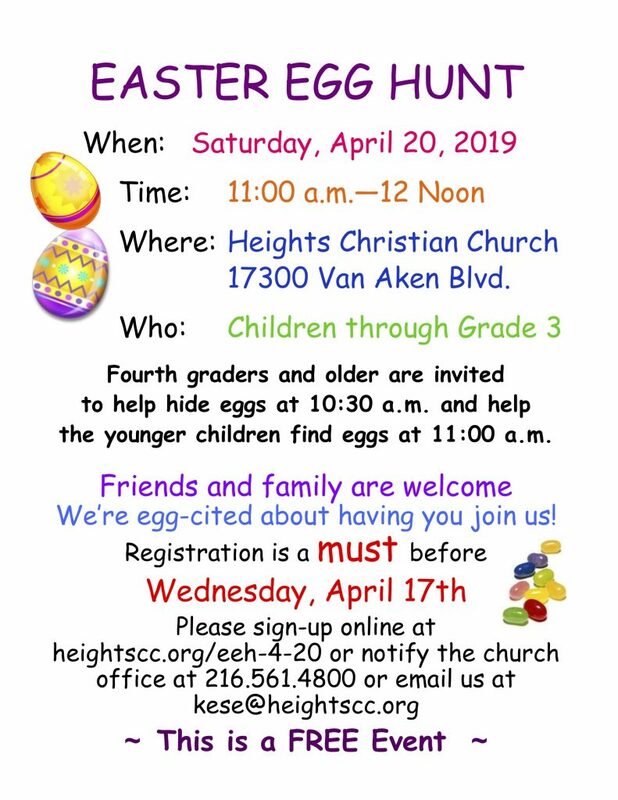 Registration is available online or by calling the church office (216-561-4800). Know someone who might be interested? Be sure to spread the word. The choir anthem from Sunday, Feb. 18th is online. Watch it here. 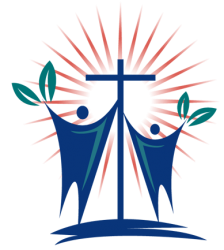 Stay up to date on HCC News. Here you can see our latests posts and uploads. If you want to receive email updates, sign up for our email list.